please contact us at 905-648-3308. Its NOT too Late to Sign Up For the Spring Rec Session!! Check out our Drop-In options and new Upstairs Kinder Programs. Click on the "Recreational Gymnastics" menu tab and then select the program which is of interest. You may register online using Uplifter or in person at the Front Desk during our office hours. Register online or drop by the Gym to signup. If you have questions about the programs or registering, please contact us at 905-648-3308. 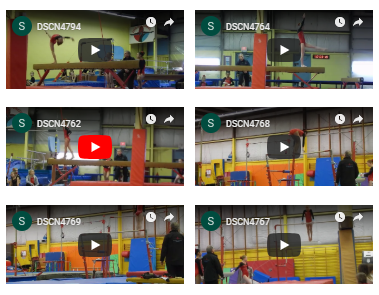 There are 14 fun videos of our gymnasts doing demos in December. Please note that we have updated the schedule for the Tumble Bees and that Online Registration is now available. 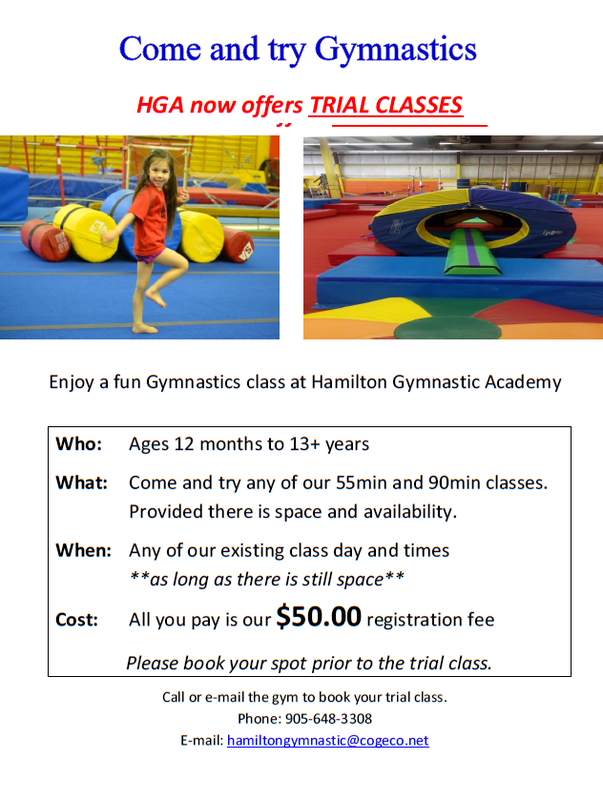 Tumble Bee’s (introduction to Gymnastics) is an exciting new program offered by the Hamilton Gymnastic Academy. Tumble Bee’s takes place in our newly designed, air conditioned, upstairs Kinder area. This space was designed for fun! Your child will feel confident swinging, climbing and jumping on our soft, brightly coloured equipment. Just a reminder that there are no scheduled classes on Easter Weekend. Just a reminder that there are no scheduled classes on the Victoria Day Weekend.